Cryptocurrencies and the innovative blockchain technology behind them are considered to be extremely secure. They are meant to be highly protected from hacks because of their irreversible nature. However, crypto exchanges suffer from breaches and money thefts. Reviews on Bitority.com or other issue-related sources describe platforms and services we can trust – but users need to be aware of possible hacks and ways to protect their funds anyway. 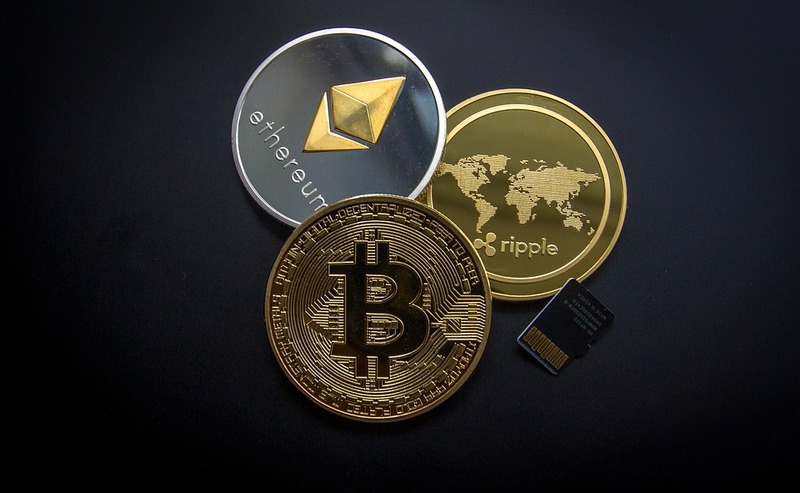 According to researchers CipherTrace, crypto exchanges lost around $927 million during the first three quarters of 2018. It’s 3.5 times higher than it was in 2017. Experts predict that the number may exceed $1 billion by the end of this year. The tendency is scary which is why it’s important to know about hackers’ strategies and be prepared for them. To do so, let's check the biggest crypto-related crimes and learn from these cases. Why do hacking attacks occur? Increasing attention. The hype around crypto makes fraudsters more active. Anonymity. It’s way easier to launder cryptos than fiats because they are barely tracked by governments or financial authorities. High price. Realising the value of significant coins, hackers get tempted by possible profits. Hacking cryptocurrency itself would be extremely hard, as this is a decentralised system secured by cryptography. That’s why the focus is put on attacking centralised exchanges that hold a lot of vulnerabilities. Exchanges store users’ money in built-in crypto wallets which have public keys (they act similarly to email addresses) and private ones (they are like passwords). But trading platforms don’t share private keys with users, so people don’t actually own their money until they withdraw it. That’s why it’s always better to keep the majority of coins in separated wallets, preferably hardware ones. Let’s discover the biggest regarding the stolen amount cases. Additionally, you can check the full list of noteworthy hacks. Probably, Mt.Gox was the biggest crypto exchange which controlled around 70% of BTC transactions in early 2014. The platform was hacked twice! The first attack in 2011 resulted in the loss of 500,000 BTC or $8.75 million. Mt.Gox survived and regained the customers’ trust. During the second attack in 2014, the exchange lost 850,000 BTC or $700 million and owners declared bankruptcy. The investigation is still going. The result: Bitcoin lost about half of its price, Mt.Gox was destroyed. While there are a lot of unclear things in the Mt.Gox history, the January attack on the Japanese exchange Coincheck was the biggest proven hack. Frauds got 523 million of NEM (more than $534 million). It was possible because of poor protection: the exchange stored users’ coins in hot wallets without multi-signatures. Customers were outraged not only because of losses but because of miserable excuses. The result: Coinchek was absorbed by financial company Monex Group. Here is one of the suspicious cases when the community isn’t sure about what actually happened. Back in February 2018, the Italian-based exchange BitGrail claimed that it was hacked for 17 million of Nano worth of $195 million. However, experts and users found out that unauthorised transactions were performed weeks before this statement. People blamed the exchange’s owner Francesco Firano who justified that there were problems in data tracking. The result: BitGrail was shut down but then re-opened. Hackers exploited the bug in the multi-signature wallet system to steal 120,000 BTC or $72 million in August 2016. At that time, this attack was the second largest after Mt.Gox’s one. Even two-factor authentication didn’t save customers’ funds. Bitfinex reacted quickly by issuing specific tokens which were redeemed in April 2017. Their launch is still considered by many to be a scam. The result: Bitcoin’s price decreased by 20% right after the attack. After the Coincheck situation, in September 2018, another Japanese crypto exchange was hacked for Bitcoin, Bitcoin Cash, and MonaCoin worth of $60 million. Because Zaif had only $20 million in reserve, it was forced to cooperate with the investment company Fisco to cover all losses. After the hack, local financial authorities launched tests for crypto exchanges focused on increasing the safety. The result: Fisco got a significant share of ownership, Japan started inspections. Trading platforms and wallets’ owners invest millions in cybersecurity, but hackers invent new approaches all the time. Surely, it’s necessary to develop better safety measures like new-age encryption protocols, security certificates, and cold storages. It’s also advisable to adopt protection strategies used by fiat exchanges, for example, comprehensive attack response instructions. But the most promising approach to security is represented by decentralised exchanges. They don’t store money and therefore have nothing to be stolen. Instead, DEXs provide direct peer-to-peer exchanges where people use their private wallets. As for now, decentralised platforms are too complicated and need a broader audience, though, we can expect their growth in popularity, not least due to notorious hacks.